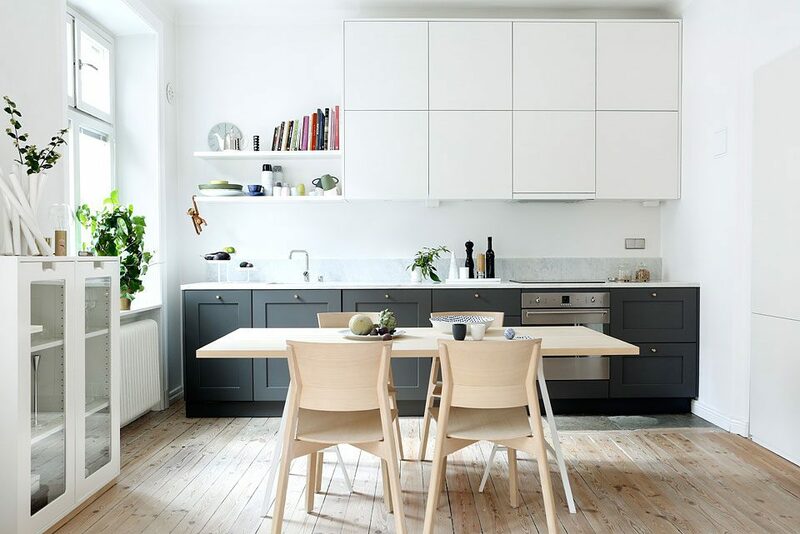 Kitchen Trends 2014: Block contrasting colour Kitchen Cabinets and Kitchen Taps with U-Shaped Spout that are currently trending are featured here in this Swedish Kitchen in Odengatan, Stockholm (photos courtesy of Fantastic Frank at www.fantasticfrank.se) and I think it looks amazing. I love the clean straight lines and the position of the Shelves (i.e. to the left rather than in the centre) and if you also note, the Shelves don’t reach as far as the side wall to balance the units below. 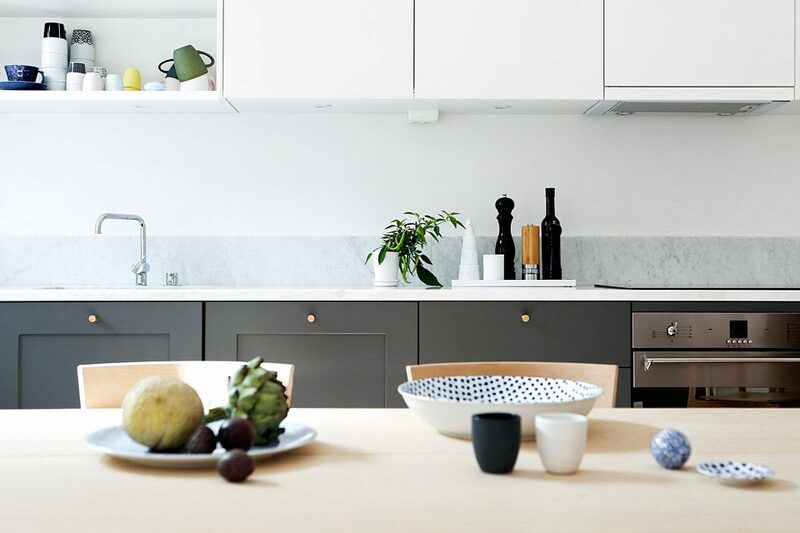 Trend 1: The Block Colour Contrasting Kitchen Doors. Here the wall presses are in white and the lower presses are in a contrasting grey. 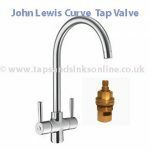 Trend 2: U-Shaped Spout on the Kitchen Tap. 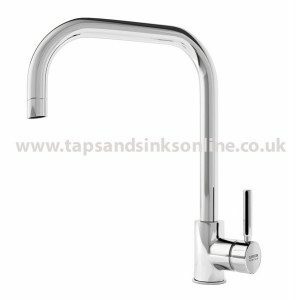 If you like this U-Shaped Spout then take a look at the Carron Phoenix Carnegie Kitchen Tap with a side lever, or the San Marco Finley Kitchen Tap with two levers (and would also require lower pressure than the single lever tap). 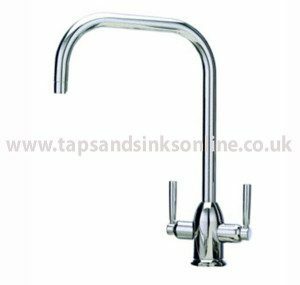 To view these two kitchen taps in our online store: click here for Carnegie Kitchen Tap and here for Finley Kitchen Tap. 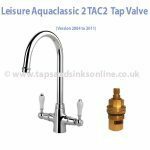 For our complete range of Kitchen Taps that have been manufactured for the UK, visit this link – Kitchen Taps at Taps and Sinks Online. If you have any questions please don’t hesitate to ask us. 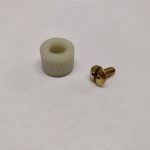 With 30 years experience in supplying sinks and taps and the accompanying spare parts we consider ourselves to be experts in this field. This means that we are pretty confident that we should be able to answer any queries you may have. Any queries received will be answered as quickly as we possibly can in as clear a manner as possible. P.S. Experts sometimes can use jargon terms that you may not understand. If this happens please let us know and we will try to explain better in more layman terms.